Chinese Paradise—Companion Reader is a series of readers based on the textbooks of Chinese Paradise (2nd edition). There are six levels in total, with 12 books in each level. Levels 1-3 correspond to YCT 1-2, and Levels 4-6 correspond to YCT 3-4. Each book tells an interesting Chinese story and provides audio recording, explanations of new words, simulated YCT exercises, and English translation. The story makes good use of the vocabulary and sentence patterns in the textbook and is characterized by simple language and lively pictures. It gives young readers wings, taking them on a journey of fascinating reading while helping them consolidate what they’ve learned in the textbook. Small surprises are hidden in the pictures waiting for young readers to discover. 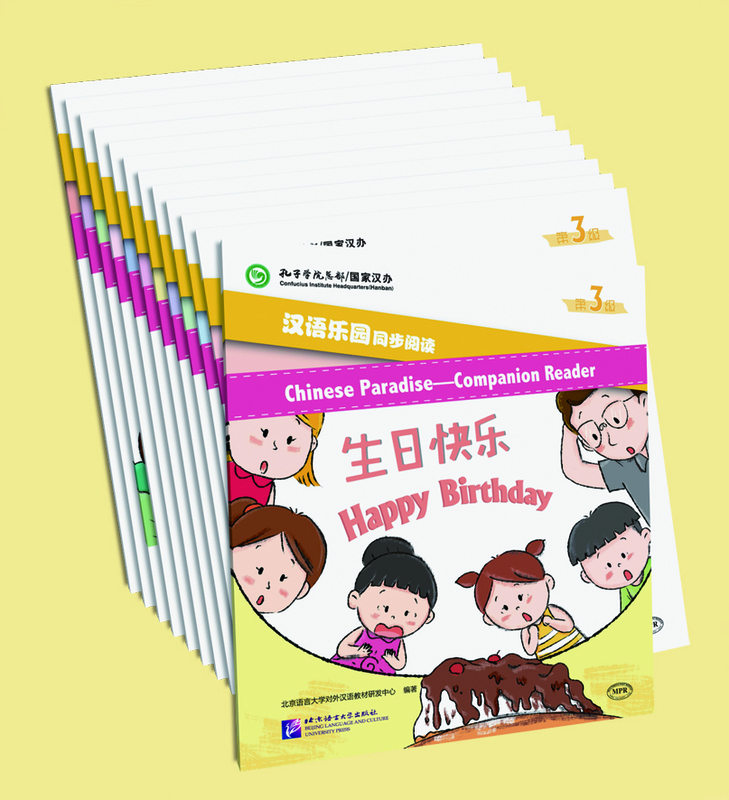 Chinese Paradise—Companion Reader (Level 3) is provided with MPR reading. Users can scan the QR code to listen to or download the audio files.